CARFAX 1-Owner. EPA 48 MPG Hwy/51 MPG City! Two trim, BLIZZARD PEARL exterior and BISQUE interior. Bluetooth, CD Player, Keyless Start, Alloy Wheels, Hybrid, iPod/MP3 Input. CLICK ME! Hybrid, iPod/MP3 Input, Bluetooth, CD Player, Aluminum Wheels, Keyless Start Rear Spoiler, MP3 Player, Keyless Entry, Child Safety Locks, Steering Wheel Controls. 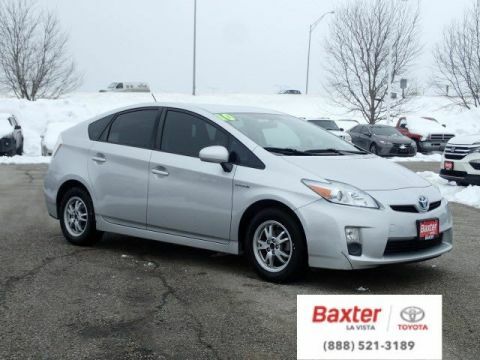 Toyota Two with BLIZZARD PEARL exterior and BISQUE interior features a 4 Cylinder Engine with 98 HP at 5200 RPM*. 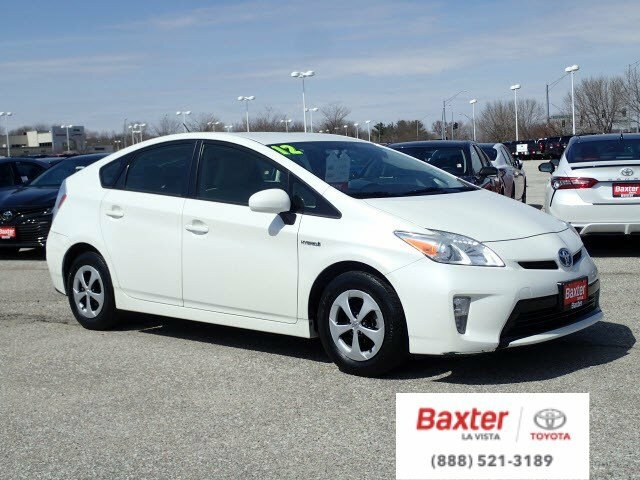 CarAndDriver.com's review says The poster child for eco-motoring, the Prius is a practical, spacious, and easy way to lower fuel bills.. Great Gas Mileage: 51 MPG City. Approx. Original Base Sticker Price: $24,000*. 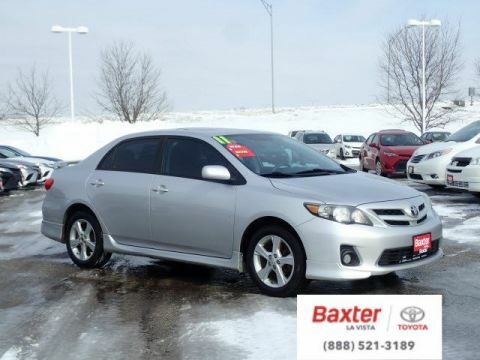 Baxter Toyota La Vista, a full-service Toyota dealership serving Omaha, offers new, used and certified pre-owned cars. We're part of Baxter Auto, the largest dealer group in Nebraska. Located off I-80 and Harrison Street, our showroom is designed with you in mind. 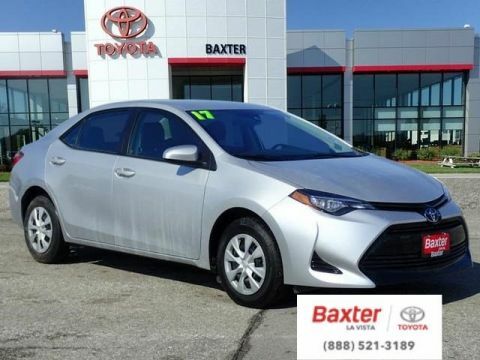 You can shop the complete lineup of new Toyota models in our showroom or walk our lot to browse our selection of used vehicles.